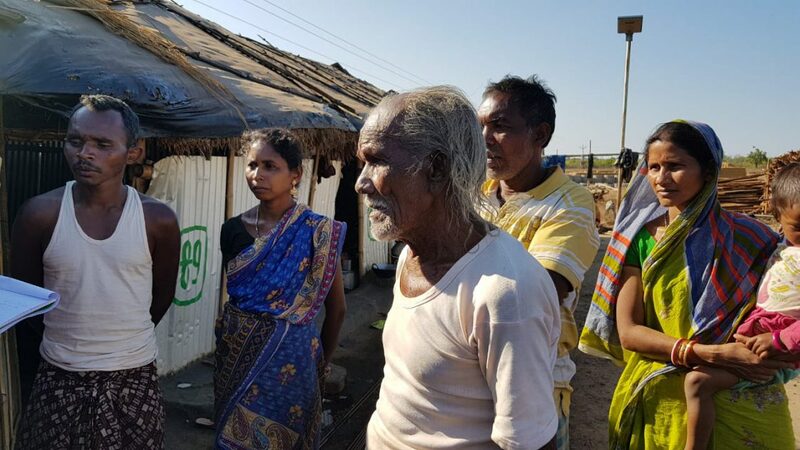 Bhubaneswar, January 25: Many families belonging to a particularly vulnerable tribal group (PVTG) were left to fend for themselves in hostile living conditions near Similipal Tiger Reserve (STR) after they were forced by the administration to vacate their ancestors’ land. These hapless tribals were not only deprived of their land and livelihood opportunities, all relocation norms under Forest Rights Act thrown to wind by the authorities concerned. A number of families of vulnerable Khadia community from Ramjodi, a village in the buffer area of STR were forcibly shifted to Sialinai, a fringe area of the sanctuary that put them live under constant fears. 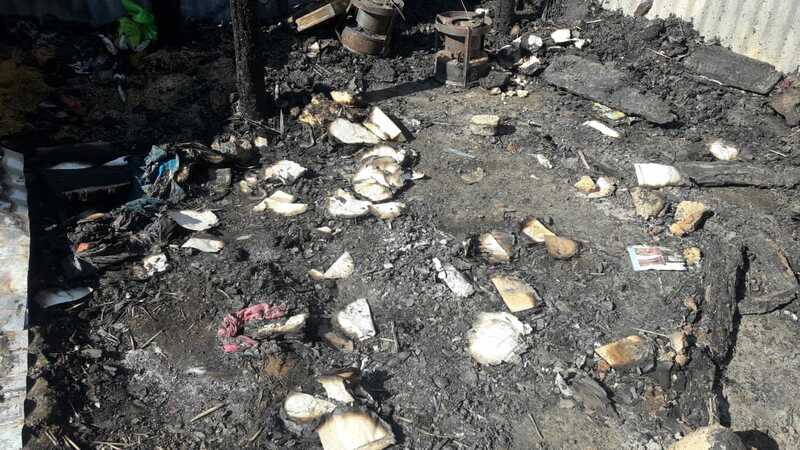 The fear came true on late Wednesday night after fire broke out in Sialinai leaving at least 16 families homeless and injuring 16 people, one of them critically. 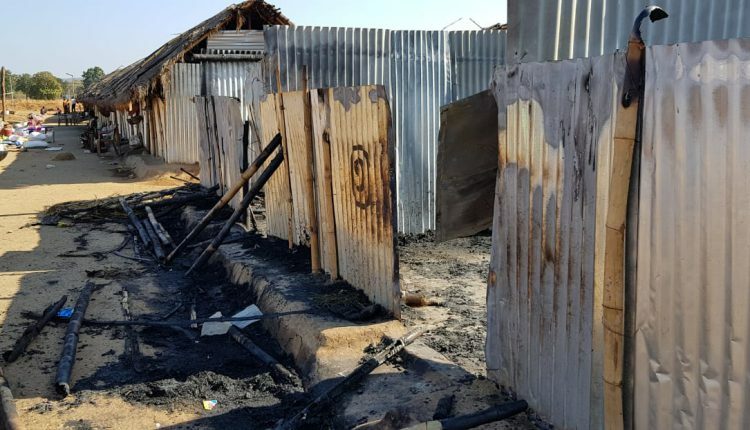 The unsafe sheds offered by the administration were reduced to ashes. At present, all injured persons are undergoing treatment at a hospital in Karanjia while a woman, Radharani (26), battles for life at the SCB Medical College and Hospital in Cuttack with 85 percent of burn injuries. Fire erupted from the house of Jadumani Dehury, an elderly villager, and engulfed the hamlet in matter of few moments. By the time firemen reached the spot, nothing was left for recovery. The affected families managed to save their lives only but not the properties that include money, food grains and belongings. According to Jadumani, his son Surendra and daughter-in-law Radharani along with their kids were sleeping in a room, when Radharani’s saree caught fire from the chulah, traditional stove used for cooking food. Radharani sustained severe burn injuries. “We don’t have separate kitchens in the temporary shelter provided to us by the administration. We have to cook, eat and sleep at the same place,” lamented Jadumani, who was worried about the condition of his daughter-in-law. According to land rights activist Aurobindo Rout, though it is a mishap, but it could have been avoided had the forest department followed the relocation norms and provide permanent houses to the villagers at the new place before relocating them. The department completed its job by handing over a few thousands rupees as compensation. It is good that the tehsildar and the BDO reached the place immediately to provide food and other supports. But, it is high time the officials offered permanent structures to the residents at the earliest, he added. Rout further added that the forest department claims the villagers had approached them for a voluntary relocation. But the claim of the department seems baseless as all the villagers allege that the department had forced them to vacate the place on various pretexts and by terrorising them. Tanuja Mishra, a community development practitioner in the area, alleged that the Forest department terrorised the villagers saying that their village (Ramjodi) will get submerged under Deo dam, which is under-construction. But, in reality, the dam project will have no impact on this village. The village dominated by Khadia community members, who used to sell a quintal of honey every year and get a good profit by selling siali fibres and leaf-plates, have been reduced to daily wagers. But the accounts of Chitta Ranjan Pani, a forest rights activist, came as a revelation. He said the forest officials have been vacating the region inside the sanctuary for the free movement of tigers and other wild animals. The eviction they say is important as the presence of human settlement can escalate man-animal conflict. However, such a move violates the rights of PVTGs under the provision of Section 4(2) of the FRA. It provides the coexistence with the wild animals and measures of modification and resettlement can be undertaken after drying up of all possibilities of coexistence. In this case, the tribals mainly Khadia community people, who are traditional honey collectors and have been collecting Siali leaves and fibre for ages, have no records of disturbing wildlife, he added. The act further allowed the tribe’s access to buffer area of the tiger reserve to which Ramjodi belongs to. So their forced relocation is absolutely unlawful. Government should always keep in mind that community has a concern for conservation and they are very much aware about their future and offspring. They have the right to say and stay inside the forest and manage it, he added. “It is the responsibility of the forest department to inform the forest dwellers about their rights before taking initiatives to relocate them. Further, it is the duty of the district administration to ensure that these people get a descent place to live in and lead a dignified life. As they are being relocated for a purpose, their standard of living should be better than the existing one,” the lawyer added. He rued that the temporary habitation is prone to fire and other kinds of mishap. It is a clear case of violation of law on the part of the district administration and the forest department. We hold the district administration and the forest department accountable for the tragedy, he maintained. The forest department succeeded in taking advantage of the innocence of the forest dwellers, alleged Manohar Chouhan, member, Campaign for Survival with Dignity, Odisha chapter. While the relocation was done violating Section 4(2) of the FRA-2006, he asked there was no urgency to relocate the families from their native place in rainy season and put them under sheds that are prone to fire. Though it was an accident, the Forest and Wildlife Department should be blamed for it. He demanded that each affected family be given Rs 2 lakh compensation and the government should bear the treatment cost of all the fire victims. Besides, the permanent house should be constructed immediately. Madhusmita Mahapatra, the Special Officer of the Khadia/Mankidia Development Agency, admits that the relocation norms have been violated in this case. She also blamed the Forest Department for not consulting the nodal agency before relocating the community members. However, the agency is now taking measures to ensure that construction of permanent houses be completed with immediate effect, after which, the residents would be provided with better livelihood opportunities.